The Lausanne negotiations between Iran and the so called P5+1 group (the United States, Russia, China, France, Britain, and Germany) have nothing to do with nuclear proliferation. 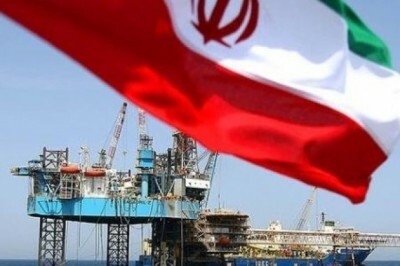 They are, in fact, another attempt to weaken and isolate Russia by easing sanctions, thus allowing Iranian gas to replace Russian gas in Europe. Lausanne shows that Washington still thinks that the greatest threat to its dominance is the further economic integration of Russia and Europe, a massive two-continent free trade zone from Lisbon to Vladivostok that would eventually dwarf dwindling US GDP while decisively shifting the balance of global power to Asia. To counter that threat, the Obama administration toppled the elected government of Ukraine in a violent coup, launched a speculative attack on the ruble, forced down global oil prices, and is presently arming and training neo-Nazi extremists in the Ukrainian army. Washington has done everything in its power to undermine relations between the EU and Russia risking even nuclear war in its effort to separate the natural trading partners and to strategically situate itself in a location where it can control the flow of vital resources from East to West.